Free from dyes, parabens, phthalates, sulphates, alcohol, phenoxyethanol, and soap. Gently lifting away mess to prevent the need for harsh rubbing. Removing the germs that cause rash. Helping to create a protective layer on baby’s skin. 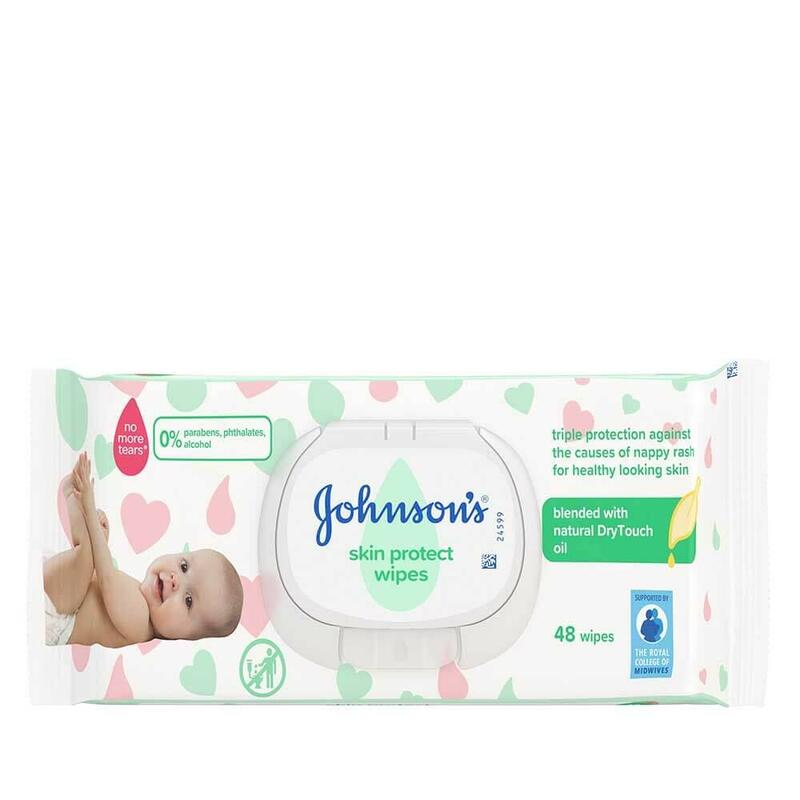 JOHNSON'S® Skin Protect Wipes can be used all over babies’ skin, including bottoms, hands and delicate faces. 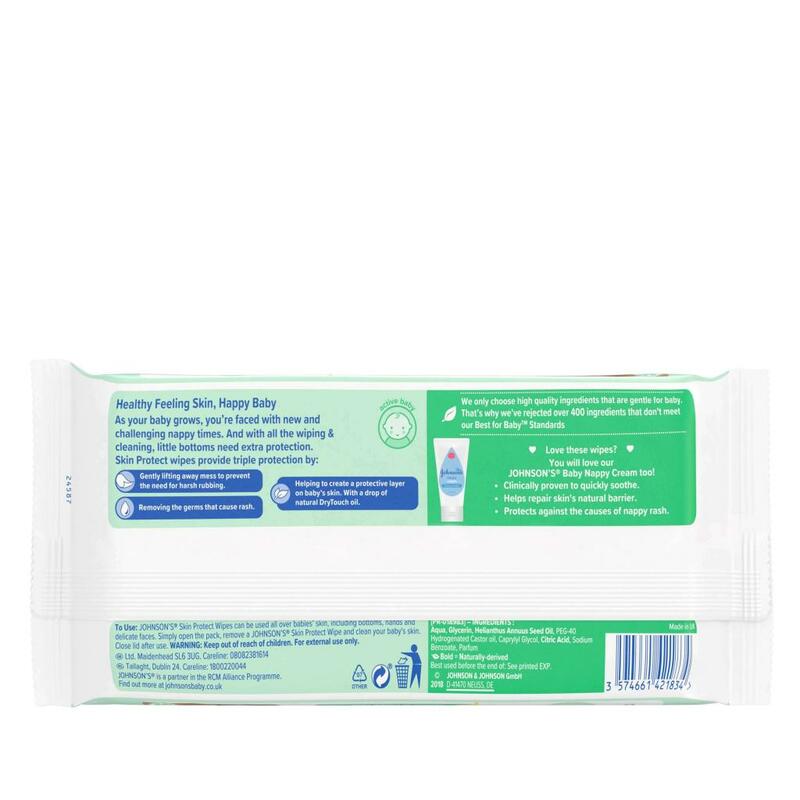 Simply open the pack, remove a wipe and clean your baby's skin. Close lid after use.